Television critic Bianculli traces the evolution of TV from its cultural status as a lesser medium to its current lauded "Platinum Age." Laid out encyclopedically and ranging from the 1950s through today, his account of TV's evolution is as dizzying in scope as it is intimate in detail ... As huge as the book is — and it's a whopper — it's not meant to be an exhaustive encyclopedia. Instead, Bianculli conscientiously curates five shows in each of his chosen genres that best exemplify what he calls 'Key Evolutionary Stages' in the growth of television ... a wise, engaging celebration of a type of entertainment that's as much of an art form as it is a pastime. 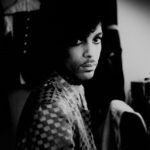 Bianculli has researched with gusto, watching thousands of hours of TV, digging through manuscript archives and talking with legendary TV figures. A high point of this history is the author’s interviews with Carl Reiner, Mel Brooks, Norman Lear, Bob Newhart, Matt Groening, Larry David, Amy Schumer and many others ... Bianculli has written a highly readable history, but he could have delved more deeply into how technology has transformed television from a solitary pastime into an interactive and communal experience. Bianculli has been a TV critic for 40 years. NPR listeners know him for his reviews and guest-hosting spots on Fresh Air. Those experiences, along with various sideline academic gigs, add up to a perfect combination for studying and explaining TV with a learned and accessible approach ... Bianculli loves TV and his passion shines throughout these pages. Again and again, he displays genuine enthusiasm for what’s current and what’s ahead ... There are bound to be missteps in a book this comprehensive and this one is no different. Bianculli tends to repeat himself in the interview sections ...Those are minor complaints, though, in a book that is always thoughtful and comprehensive. 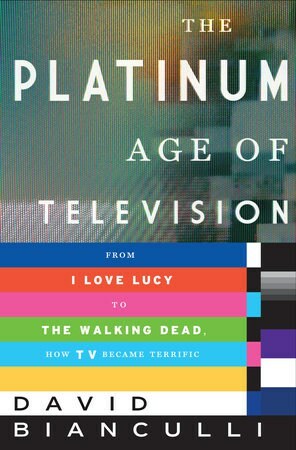 What did you think of The Platinum Age of Television?